“Windy City Blues,” which is still in the running for the 48GFC Peoples’ Choice Award, has been granted entry into the 2011 Guerrilla Film Festival. The short, along with other shorts from the competition, will be screened on June 11 at the Lakewood Ranch Cinemas in Sarasota, FL! If you’re in the area, help support the Fest! Lakewood Ranch Cinemas is located at 10715 Rodeo Drive #8, Lakewood Ranch, FL 34202. Help "Windy City Blues" Win the Peoples' Choice Award!  The Lone Lantern home page is currently under construction, and not all of the older features are available through this page. To access almost every other page, CLICK HERE and use the old navigation method. There are just 3 days left until the start of the 2011 48-Hour Guerilla Film Contest, and this year we're entering into the contest! Production companies are required to film a 5-10 minute short film over a tight 48-hour time period (from writing to editing). It's a challenge, yeah, but the best part? A $5K prize, trip to the festival screening, and a pitch meeting! For more on the contest, go to 48gfc.com, and wish us luck!